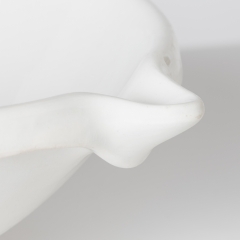 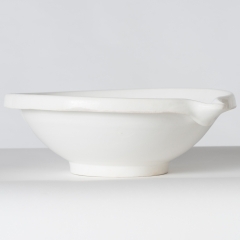 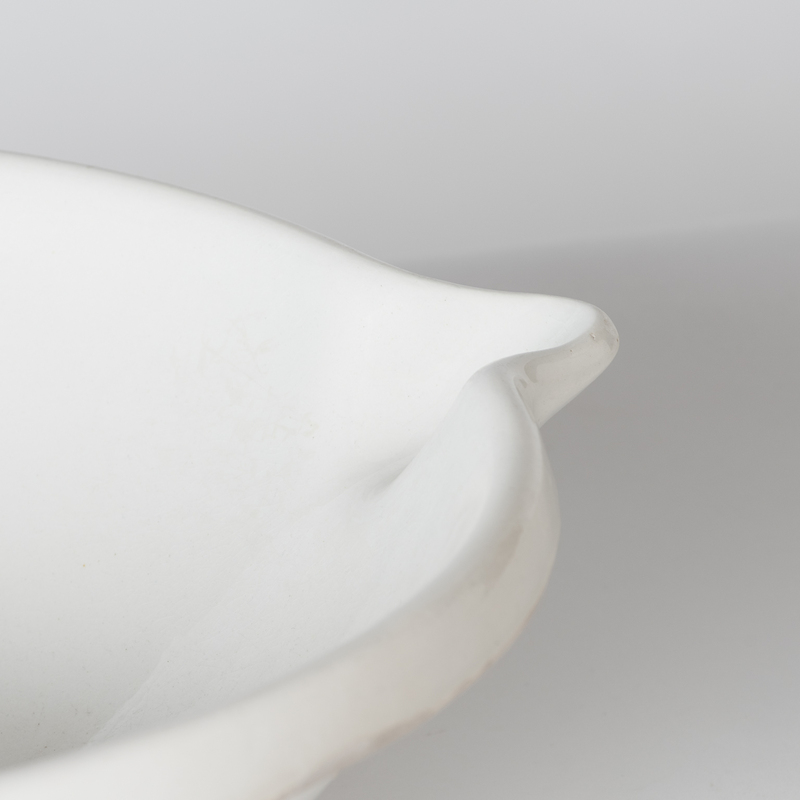 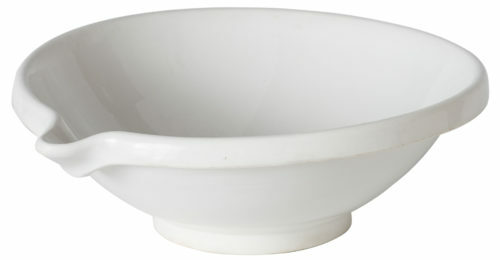 This bowl has a generous size, and a beautiful curved lip for pouring. 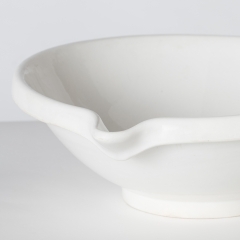 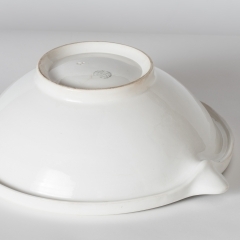 The white ironstone is in perfect condition. 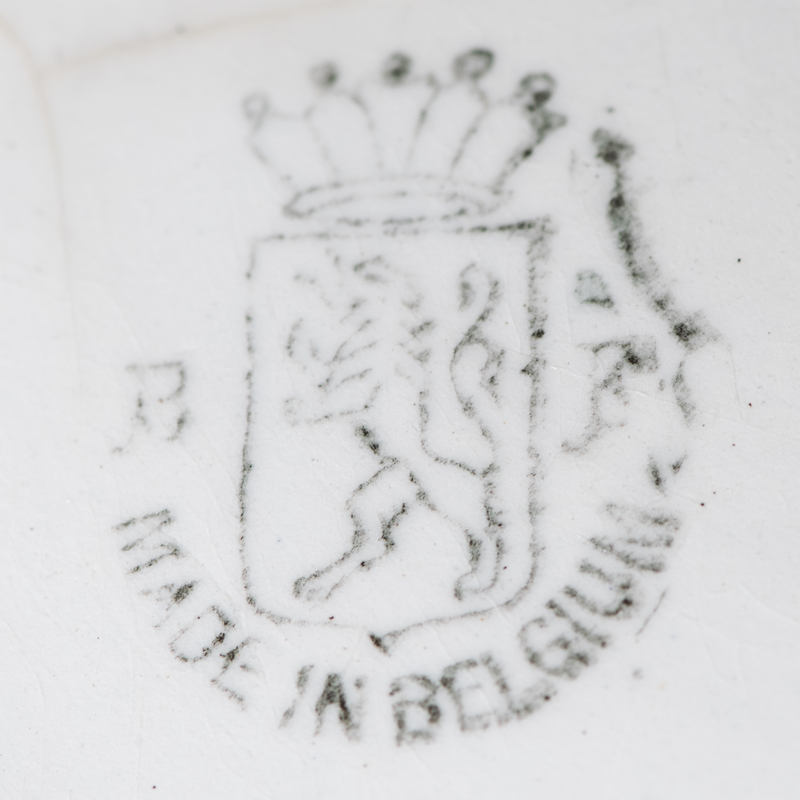 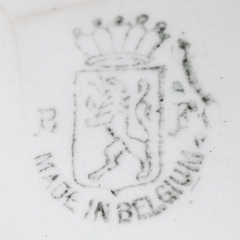 It has a hallmark on the bottom with a crown and “Made in Belgium”, which dates it to around 1900.